Not only is a large tuber a strong indication of a longtime Alaska gardener, it is also a sure way to get lots of stems and flowers. This being the case, other ways of propagating new tuberous begonias are more popular. Still, a reader question is a reader question, especially when it is asked at that time of year when tubers should be taken out of storage, or new ones bought and exposed to light now so eyes will develop. These eyes will grow into stems. 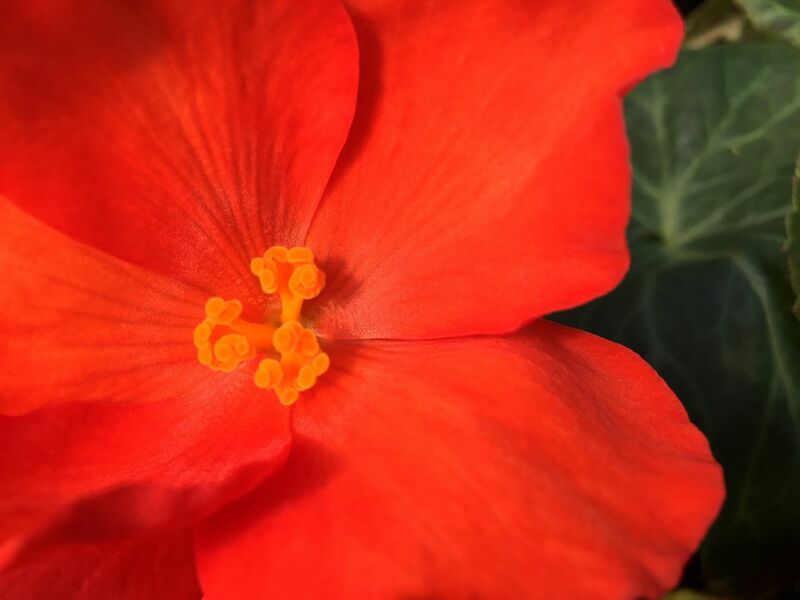 Tuberous begonias operate just like potatoes, the most common tuber. You divide them in exactly the same way, cutting into sections that have at least one eye each. I have never divided a tuberous begonia. However, the real question is not so much how, but when do you make these divisions? Some suggest in the fall as the tubers dry out. I suspect this affords the grower the ability to see the dying stems so that at least one can be included in each division. Waiting until the spring to make the cut requires being able to see the new growth before you divide. These can take a while to emerge. Either way the results should be the same. Of course, you could start tubers from seed. I have done this and let me tell you, it takes plenty of time and the new tubers are really small and require at least a growing season or two before you would want to use yours in a hanging basket. A much easier way to propagate tuberous begonias is by rooting stem cuttings. As you would expect, stems are broken off from the tuber and rooted. This method is really no different than taking a cutting from any plant and putting it into sand or soil to develop roots. You will want to wait until the tuber you have now is in full growth. Once you take the cutting, let it callous over for a couple of days. Your stem will have segments and at least one needs to be under the rooting media. You can also can grow new plants by making leaf cuttings. Begonia leaves have evolved to be able to develop into new plants. Taking a leaf cutting is easy; just remove one from the plant. Then place it on soil or better yet, damp sand. Using a sharp knife, cut a few of the veins on the leaf. Then make sure these cuts are in contact with the growing medium. In a few weeks, new plants will grow from these cuts, miniature tuberous begonias just like the parent leaf. Spring Break in The Garden: March 11-14, from noon to 3 pm. registration required, www.alaskabg.org. The garden will have snowshoes and kicksleds to try out and there is a kid-friendly tin lantern workshop on Monday, March 11. Sign up ahead of time and reserve your spot!